From ladders to circuits, movies to songs, these 10 workouts are not only great calorie burners but fun and creative too. Click through to find one (or two or three) to try. The gym is closed, or the hours are cut short. The kids are home from school. You can’t sneak away, but you need a workout more than ever. Holiday chaos is fun but stressful, and you need a mental relief. The cookies and ‘nog are calling your name, and you need a good calorie burn. You finally have a little extra time on your hands but nowhere to go workout. What are you to do? 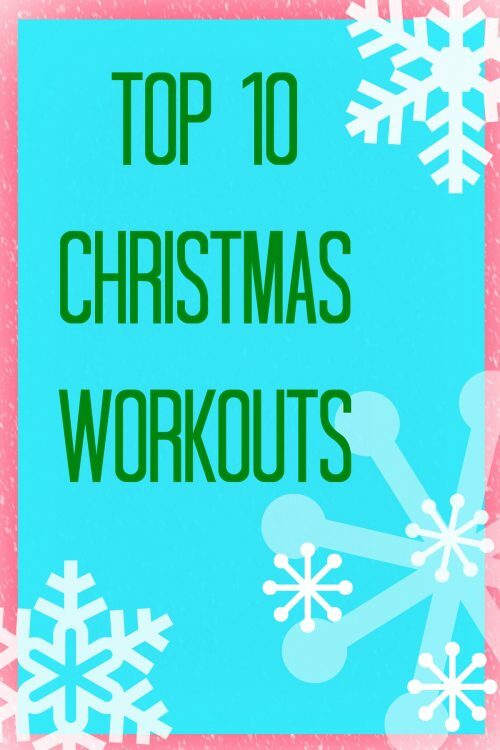 Turn to one of these fun Christmas-themed workouts, of course! Don’t miss the best Christmas tunes for your workouts on Fit Radio!